Steve represents clients with complex governmental, permitting, land use and environmental matters. He handles high profile, time-sensitive and controversial transactions for government entities and municipalities, corporations, property owners and developers, telecommunication companies, and other private entities. Clients praise Steve’s expertise, attention to detail and work ethic. Outside counsel to the Massachusetts Gaming Commission. Helped establish its governance and regulatory structure, which manages competing interests in the newly-established Massachusetts gaming industry. Environmental matters: federal and state permitting, environmental enforcement proceedings, and special projects related to Boston Harbor clean-up litigation. Represent a global telecommunication carrier building significant infrastructure in challenging development environments over many state and local jurisdictions. Represent a national competitive local exchange carrier with an aggressive build-out of new infrastructure in Massachusetts. Advise FCC-licensed wireless carriers on hundreds of permitting, transactional, administrative and judicial proceedings in Massachusetts and New Hampshire. Oversees complex federal and state Superfund cases, including litigation, mediation, and settlement. Represent potentially responsible parties in a complex environmental matter involving alleged soil and groundwater contamination and alleged vapor intrusion at and from a former mill property in a suburban Boston community. Recovered tens of millions in environmental remediation costs, remedial actions, and damages from responsible parties, and defense costs and indemnity proceeds from insurers. 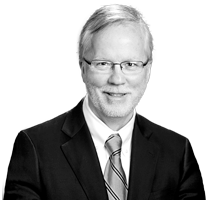 Steve has published articles on environmental and telecom law, such as the "Massachusetts Superior Court Civil Practice Jury Instructions," G.L. c. 21E Claims, MCLE (2016) (with Hon. P.D. Wilson and the late Hon. P. Brady) and "Telecommunication Facility Siting: Creative Settlement Strategies for Land Use Development Litigation," CLE International (5/12/2006) (with M.L. Brenninkmeyer). Steve has taught adjunct courses at Boston College Law School (Advanced Environmental Law and Administrative Law) and Franklin Pierce Law Center (Environmental Law), as a lecturer at Harvard College (seminar on the regulation of nuclear energy), and at many continuing legal education seminars on land use and development, telecom, affordable housing, environmental cost recovery, allocation and damages, and use of experts in environmental cases. Having served for more than 15 years on the Andover Board of Appeals, including many years as its Chair, Steve helped guide Andover’s permitting of affordable housing to be one of the leading communities in the state. Steve has been a "heavy hitter" from 2013-2017 for Pan Mass Challenge raising funds to benefit the Dana Farber Cancer Institute and the Jimmy Fund; and he bikes (he is approaching his target of 2000 miles for the 2017 season ahead of schedule), hikes (he completed NH’s forty-eight 4,000 footers in 2013), and swims several times a week for recreation.